Item Description : 63mm Single outlet Landing Valve as per IS:5290 Type A, ISI Marked, having 75mm NB inlet & 63mm Female Inst. Outlet. Material of construction : Gunmetal IS:318 LTB2/ SS304/ SS316 (or as per client specification). 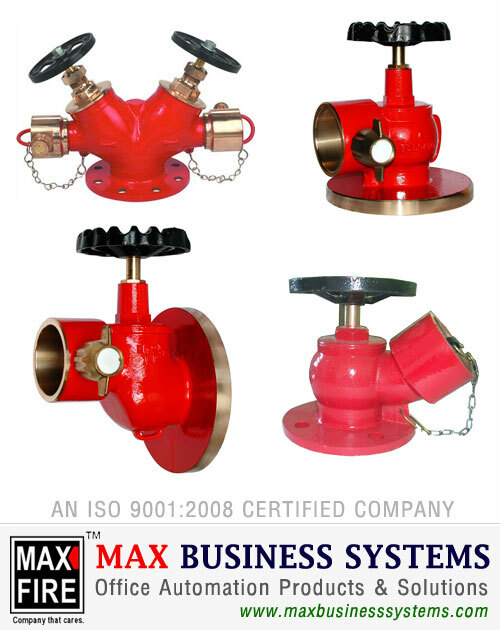 Item Description : 63mm Fire Hydrant Valve Right Angle, having 63mm NB inlet & 63mm Female Inst. outlet. Item Description : 63mm Double Controlled Hydrant Valve, 100mm NB Inlet & 63mm, 2 nos. Female Inst. outlet as per IS:5290 Type B. Item Description : 63mm Downward Pattern Fire Hydrant Valve having 63mm NB Inlet & 63mm Female Inst. outlet.